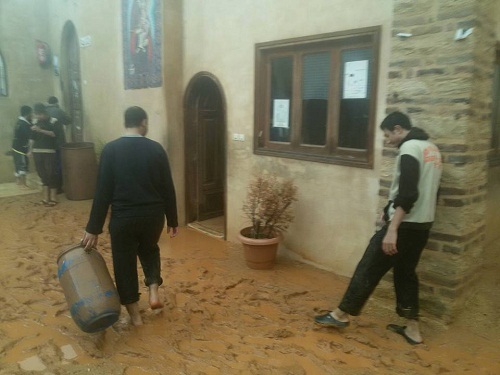 The Virgin Mary “Baramos” monastry, located in Wadi El-Natroun in Beheira governorate, issued a statement on Thursday morning apologising for not welcoming any visitors, or for those seeking seclusion or housing, as the route to the monastery is not safe due to damages and cracks that occurred as a result of the flood. Heavy rains on Wednesday also hindered a number of monks from returning back to the monastery, as they were outside the village. "The monastery will announce later through the Coptic Orthodox Media Centre the date of it's re-opening for visitors," the statement added. 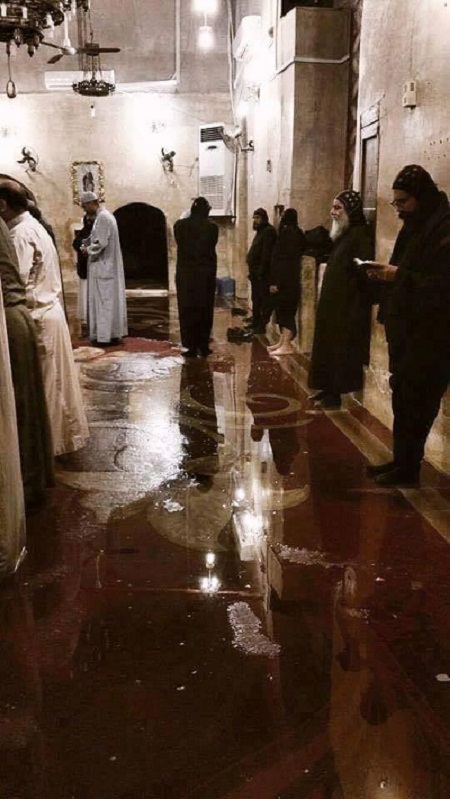 "The rain water reached a level of one and half metres inside the archaeological church and three meters in other places, destroying several parts of the monastery wall," Father Boulis Halim, spokesman for the Coptic Orthodox Church, announced. 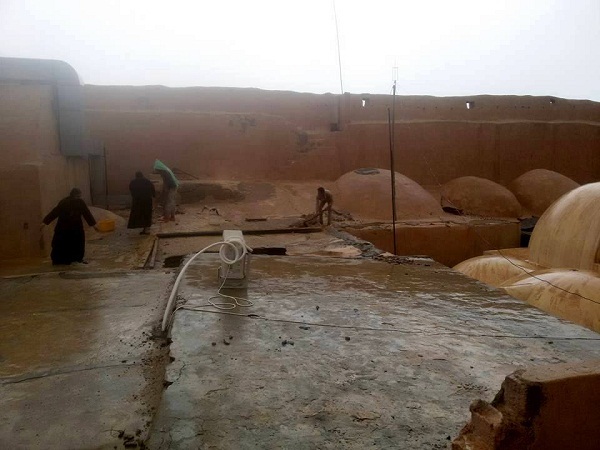 "The monks and the workers succeeded after 17 hours of hard work to drain the rain water and free some workers who were stuck in workshops inside the monastery," Boulis added. He continued to say that "The monastery of St. Pishoy, the most famous Coptic Orthodox monastery among the four current ones in the Nitrian Desert, also sank in rain water and floods that led to the damage of both the monastery wall and the farm wall. 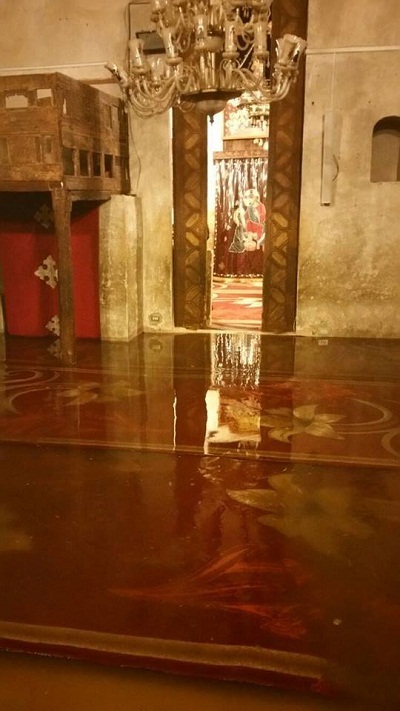 "Huge amounts of rain water were pumped out from different places in St.Pishoy monastery but a small amount was still found inside," he stated. St. Pishoy Monastery is the place where Pope Tawadros II was formally ordained as a monk in 1988 and where the late Pope Shenouda III is buried. According to Mohamed Abdel Latif, the Head of the Islamic and Coptic Antiquities Department, the dome that covered the ceiling of the side chamber neighboring the Virgin Church at Deir Al-Surian fell down. "The rest of the monastery and its side buildings are in a very well preserved condition,” Latif added. "Despite all the damage, the monks and the workers in all of the monasteries are in a good condition and none of them were hurt," Boulis confirmed. 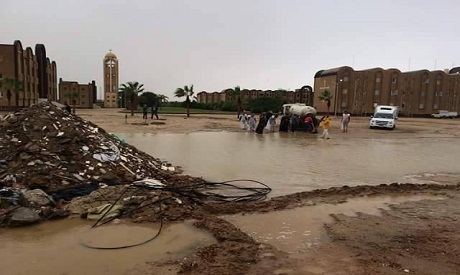 Heavy rain continued for the third day in a row on Thursday in Egypt's northern Beheira governorate, where 11 people were killed the previous day in weather-related accidents. Prime Minister Sherif Ismail travelled to Wadi El-Natroun on Wednesday to check on rescue and aid efforts in the city. 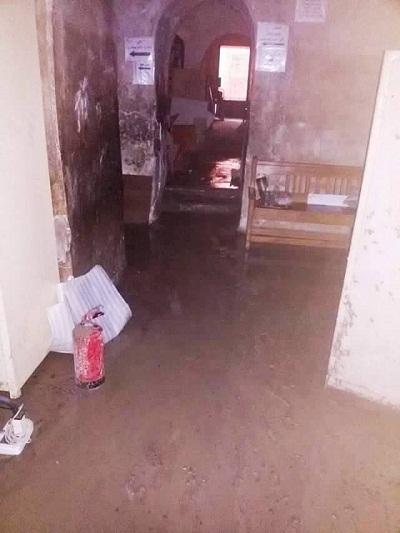 Last week, Alexandria governorate witnessed similar weather that led to the death of seven people. Governor Hani El-Messery handed in his resignation to the prime minister amid mounting criticism of the government's response on social media. 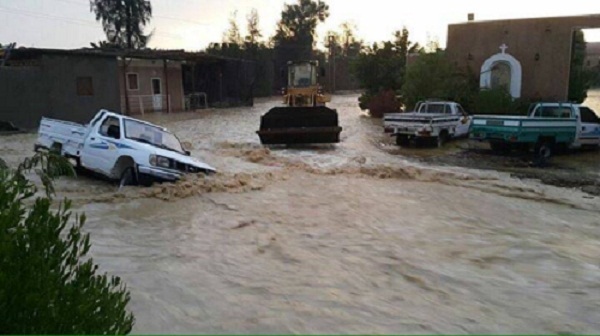 Meteorologists expect the rainfall to continue into Friday across several parts of the country including the northern Alexandria governorate and the Sinai region, to the east.